I didn’t follow the usual career path to achieve my current position in Business Intelligence & Analytics. Typically, that would mean starting out as a Business Analyst or Data Base engineer/Data Scientist. Instead, I started my career at Pitney Bowes three and a half years ago as an e-commerce manager responsible for the UK eBay Global Shipping Program. I gained many valuable skills in that role, including using analytical insight to identify threats and opportunities, taking responsibility and utilizing the cross-functional team to motivate and deliver change. Over the years I’ve worn many hats, including e-commerce consultant, e-commerce manager, project manager, account manager etc. and I think my general experience within e-commerce has given me the flexibility to easily transition from one role to another. Rather than following a specific path to a specific role, I tried to stay general and move laterally within e-commerce to gain the knowledge and skills in different areas that would help me adapt to and position myself for future opportunities. Before joining Business Intelligence & Analytics, I was contemplating my next move. I chose Business Intelligence as it is an area I am passionate about and felt I can add additional value to the team by bringing in my project management experience and business acumen. As a tech enthusiast, I had the basic skills to analyze data and write queries needed to provide insights needed to manage Global Shipping Program. And I was excited about the chance to gain knowledge and recognized that Business Intelligence would be where I can add the most value to Pitney Bowes and the department while learning and developing valuable new skills. One thing I really enjoy about my new role is managing and supporting a great team. The primary focus for me is how we can collectively work together to challenge the status quo both from an internal operational perspective and from an external stakeholder perspective to drive better internal operating procedures as well as better insights to stakeholders. I was fortunate enough to begin my career with a great manager and mentor Johanna Boller who recently retired. She and I stayed well connected about my career aspirations and where I wanted to be in the next 3 years. Johanna helped orchestrate meetings with different leaders within the Product and Business Intelligence teams looking for appropriate opportunities. My new manager, Tal Ben-Shahar, VP, BI & Analytics for Commerce Services, had an opening on his team that fit the bill and while on paper, I may have seemed like a long shot, he was willing to take a chance based my broad experience and commitment to the e-commerce field. I hope he feels it is a risk that has paid off! My vast range of skills and experiences have collectively helped me transition into this role. In particular, my experience in human resources, contingent labor, project management and contracting has really proved to be valuable. My previous role within Procurement also allowed me to gain a more in-depth understanding of some of the Talent Acquisition processes, vendors and technology, which has helped make the transition easier. What I enjoy most about my current role is the people I get to work with and the range of different projects that I am able to work on with my team. It is challenging yet impactful work and as a team we feel we have the opportunity to truly make a difference in the company. Embrace new challenges. Don’t be afraid to try something new and sometimes a lateral move is the best path to long-term growth. I had left Human Resources to take a lateral move into Procurement and I learned so many transferable skills in that role which ultimately allowed me to get into my current Director level role within Talent Acquisition. Another piece of advice I would give is not to be afraid to tell people what you want. There are so many people in the organization that will want to help you get to where you want to go, but it is up to you to let people know what it is that you want. I would also say be open-minded and don’t be afraid to try something you haven’t done before. I have never gone into a role that I had direct previous experience in, but I have found that passion, a mindset of continuous learning and a willingness to take chances will take you a long way. In general, I have been very blessed to have great mentors in my life that collectively helped me get to where I am today and allowed me to transition into new roles throughout the years. In my current role, I have learned a tremendous amount from the entire team. From Amy to all of the other Talent Acquisition Directors and Talent Advisors, as well as my direct team. I am fortunate enough to be around many bright people that I am consistently learning from. However, there is one overarching mentor that I do want to give a special shout out to and that is Dene Matchett. Dene currently leads the HR Shared Service team here at Pitney Bowes. While at a different company, Dene took a chance on me and was the first person to hire me into a professional role out of college. I learned so much from her during that time and she really laid the foundation for who I am today including adopting a continuously learning mindset. We both ended up leaving that company and going different routes with her coming to Pitney Bowes, but she remained my mentor throughout that time. When a position opened up under her at Pitney Bowes she called me up. I didn’t know much about Pitney Bowes at the time and didn’t have any experience in Human Resources, but I came here because I trusted her and knew that she truly only wanted the best for me and that ended up being the best career decision I have ever made. Overall, I wouldn’t be where I am today without her leadership and mentor-ship throughout the years. Thanks Dene for everything! There may be no more emblematic example of being the engine of your own career at Pitney Bowes than Angel Peoples. First aspiring to sing and then to practice law, Angel found a new path when she was introduced to PB in 2003 through a program called In Roads. This led to summer internship opportunities in Marketing, DMT and Communications – and a newfound passion. 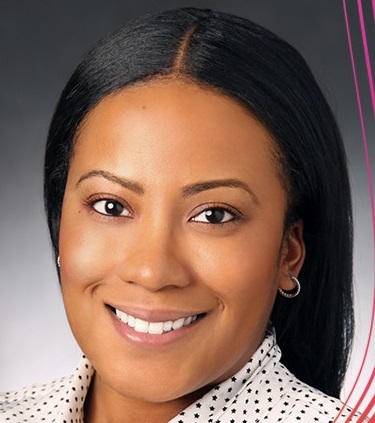 Angel’s early experience with PB uncovered an interest in marketing communications and she joined the company full time in 2007 working under Sheryl Battles, VP, Communications and Diversity Strategy. Spreading her wings, Angel moved into Public Relations while going back to school for a Master’s of Science with a concentration in integrated marketing communications, graduating in 2010. During this time, Angel proactively sought out mentors and stretch assignments to maintain her forward trajectory, including working in tech analyst relations, joining and graduating from the Early in Career program, and working on Impact 2017. After pausing her career ambitions due to personal circumstances a few years ago, Angel hit the reset button in 2015, building her personal brand and reconnecting with the internal network that she had cultivated. 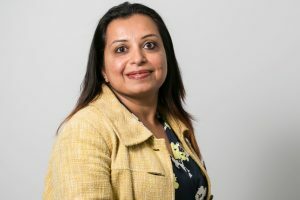 This eventually led to a move from Communications to her current role as Senior Program Manager, Practice Support – Global Professional Services on the Software Solutions team. When asked to give advice to others who are interested in moving into a new role at PB, Angel says “Always play to your strengths, always be marketable, never be afraid to learn, grow and acquire new skills along the way.” Given her track record, anyone looking for new opportunities within PB would be wise to heed Angel’s example as well as her words. Pitney Bowes is committed to taking an #InsideFirst look at our talent opportunities. Internal mobility means growth and development. 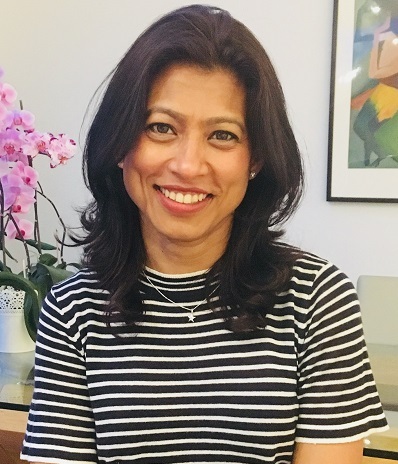 Nabanita Banerjee is based in Henley on Thames in the UK, she has recently transitioned from Talent Advisor within Human Resources to Account Manager in Software Sales. Knowledge of software products and solutions. I used this extensively as a Talent Advisor to engage external talent with the Pitney Bowes brand. Interviewing skills were key to my role as a Talent Advisor — listening, observing and asking the right questions. Although applied in a different way, these are transferable skills in sales for successful interactions with potential clients as well as internal colleagues. 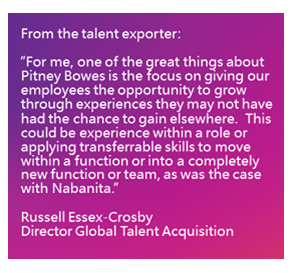 Ability to work with a diverse group globally and adapting to changes within Pitney Bowes. The ability to learn new things, struggle a bit and find a way of getting things done. The commercial aspect of the role. Client interactions: learning about their business and building relationships. Applied creativity: researching and finding synergies between clients’ challenges and our solutions. Ask yourself what your personal motivator is for seeking a new role – money/exposure/learning new skills/ new geographical location. Once you decide, research the roles that align to your interest. Are you passionate enough? Then you can make anything of any role; you just need a foot through the door. Be a sponge: Pitney Bowes has many fantastic subject matter experts in the business; seek out that knowledge. Andy Berry encouraged me to take the plunge and had the confidence that I could transition to sales. Russell Essex-Crosby, my director, recognized that I needed to do something different to keep me motivated; he has always encouraged me to do new and different things. Simon Alderson provided the opportunity in his team and, along with Lisa Shaw, ensured that I can perform in an environment of open communication and learning/knowledge-sharing within teams/peers. Jose started his career at Pitney Bowes as an Intern in 2014, joining the Digital Marketing team in 2015 as Marketing Manager, Analytics and Insights. Over the years, Jose has proven himself by successfully leading analytics projects with increasing complexity. 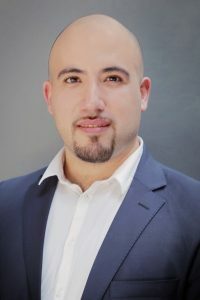 Jose has spearheaded efforts to have various stakeholders both within and outside the Marketing team become more analytically oriented and self-serve with critical data. He has even taught himself PowerBI and created a foundation of automated dashboards for the Digital Marketing team. This passion and drive paid off. 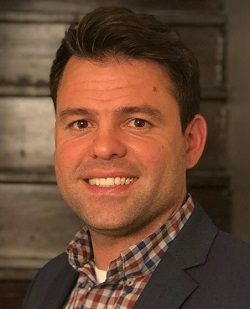 In his new role as Digital Analytics Director, Jose will be responsible for managing contractor relationships aligned to Digital Analytics—a move that consolidates all of our Digital Analytics subject matter expertise under one team to continue to enable a data-driven culture in Marketing and help to improve performance. 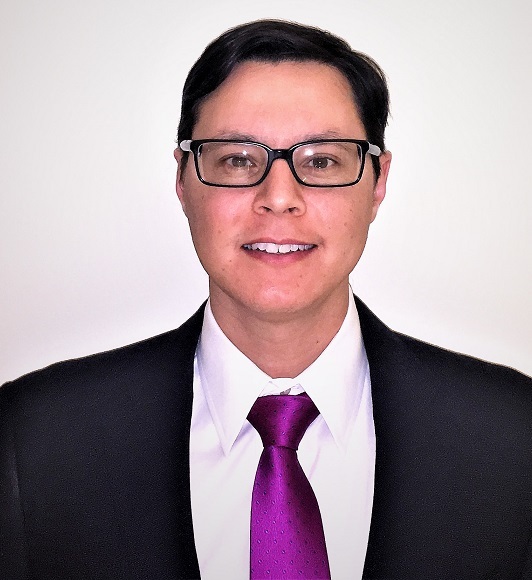 Jose seeks growth and excellence in his educational pursuits as well: He has a MSIS/MBA from Boston University and B.E. in Telecommunications at Universidad Catolica Andres Bello in Caracas, Venezuela​. Prior to working at Pitney Bowes, he was Project Specialist, Marketing Coordinator, Marketing Leader and Sales Strategy Leader. We can’t wait to see what else he’ll accomplish as part of the Pitney Bowes team.